Jerré Tanner Interview with Bruce Duffie . 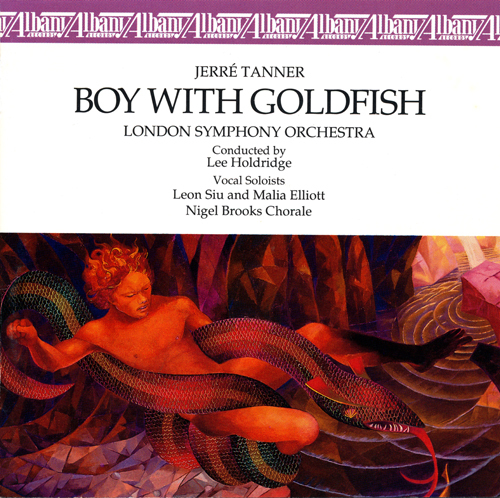 . . . . . . . .
Jerré Tanner (b. 1939 - ) is a composer of symphonies and operas, music critic, teacher, author and long-time resident of Hawaii. He studied orchestration with Pulitzer Prize recipient Wayne Peterson at San Francisco State University where he earned an MA degree in composition. His compositions have been recorded by the London Symphony Orchestra, the Prague Chamber Orchestra, Polish Radio and Television Symphony Orchestra, Slovak Radio Symphony Orchestra and released on the Albany and Vienna Modern Masters labels. He has received awards and grants from ASCAP, Hawaii State Foundation on Culture and the Arts, National Association of American Composers and Conductors, National and Hawaii Bicentennial Commissions, Huntington Hartford Foundation in Los Angeles, Meet-the-Composer, and two Margaret Fairbank Jory Copying Assistance grants administered by the American Music Center. 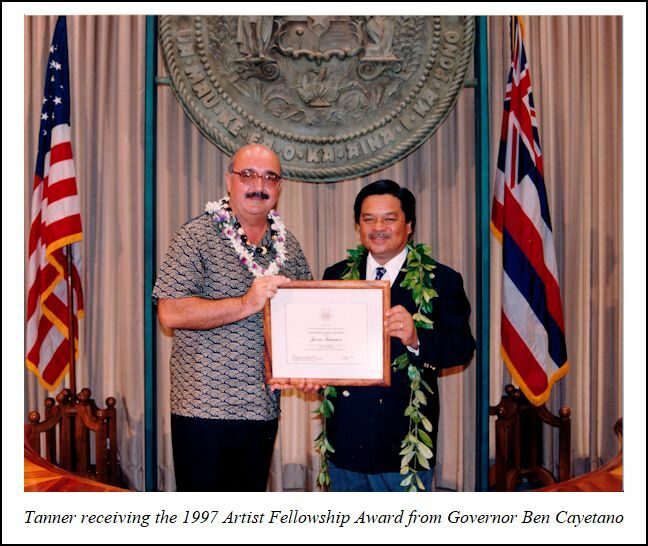 In 1997 the State of Hawaii awarded him the Artist Fellowship in Music Composition. In 1999 and 2001 he received commissions through the American Composers Forum “Continental Harmony” program for composer-in-residence in New Mexico and North Carolina. The Honolulu Symphony has given the premiere of six of his works, and his orchestra, band, choral and solo vocal works have been performed from Shanghai to Krakow. He is listed in the New Grove Dictionary of Music, Who’s Who in America and is a member of the Iowa and American Composers Forums, a retired member of the Honolulu Symphony Chorus and the American Choral Directors Association Hawaii Chapter. His collected manuscripts and papers are housed in Special Collections at Rod Library, University of Northern Iowa, Cedar Falls, Iowa. In May of 1993, Tanner was in Chicago, and graciously agreed to meet with me for a conversation. He was in very good spirits, and the topics ranged from his music to his adopted state of Hawaii. Bruce Duffie: You’re from Pennsylvania originally, and then you moved to Hawaii? Jerré Tanner: I was twenty-six when I moved to Hawaii, however, my family made a major move to Iowa when I was at the age of thirteen. JT: Yes! [Both laugh] But it gets even more so because there’s a stop in my early twenties at San Francisco. Somehow or other, I have this feeling that I was looking for warm weather, and for a while I thought it was San Francisco, but it ended up Hawaii. BD: [With a gentle nudge] You have no plans to go off to Asia? JT: [Laughs] Well, who knows! After all, they say that twenty-first century is going to be the century of the Pacific. I don’t know where life may lead me. However, I feel awfully contented in Hawaii. I’ve been there almost thirty years. BD: So, that’s most of your mature adult composing life? BD: Now the dangerous question. Is your music peculiarly Hawaiian? JT: That’s a very interesting question. If you play some of my music for a person of Hawaiian ethnic background, they would probably be rather startled because they don’t think of Hawaiian music as being symphonic or operatic. However, when I play my music for mainland people, they find that it has a bit of an exotic element of the islands in it. But I really do consider myself first and foremost a composer of art music, very much in the European tradition. BD: Sprinkled with the Hawaiian songs and the Hawaiian textures? BD: Is it conscious that it has the Hawaiian texture, or is it just something that has grown into you and your thought processes? JT: Hawaii, for me, has been a sanctuary. When I originally went to Hawaii, which was to teach in the University system, I saw it as a place where I could go and experiment the kinds of things I wanted to do. I’d just gone through about seven years of composition professors absolutely insisting that I write serialist twelve-tone music, which I hated with a passion! So, when I got to Hawaii, I found its relatively unsophisticated audience there. Hawaii is just about a generation behind the mainland, so I thought I’d just experiment and see what people respond to, and then let myself be led by the kinds of reactions that I get from people there. BD: Were you writing for them, or were you writing for you, or were you writing for an unknown public? JT: I was being experimental. I have a very deep romantic bent to my nature, and Hawaii has stimulated that element of my artistic temperament because it is, after all, a very romantic place. But also, I just had to instantly confront the multi-cultural environment we have there. It was the first time in my life where I was suddenly part of a racial minority. But then, in Hawaii, everybody, no matter what your ethnic background is, you’re in a racial minority. BD: There is no predominant group? JT: That’s correct. It’s a combination of Hawaiian, Polynesian, and Oriental, with the dominant element being people of Japanese ancestry, and then of course the European-American aspect. BD: You were there when Hawaii became a state in 1959. Was this welcomed, or was there a lot of trepidation about it? JT: There were certain ethnic groups that were very happy about it. Needless to say, the Hawaiian ethnic group was not particularly happy about statehood. BD: I’ve been to Alaska and have done programs of their composers and performers. They were #49, and Hawaii was #50, but both were made states a few months apart. JT: Yes, that’s right, and in fact, they didn’t know who was going to get there first. I have some rare records of Hawaiian music on what was called ‘The Forty-Ninth State’ label. BD: [Laughs] Like the famous Tribune headline ‘Dewey beats Truman’! BD: Getting back to my question then, there was some opposition, but obviously a lot in favor of becoming a state. How is it today — is there still some opposition, or is everyone in favor of being a state? JT: We’re approaching a major centennial observance, which occurs in 1998. That will be the one hundredth anniversary of Hawaii becoming a territory of the U.S., and there is a major movement for Hawaiian sovereignty that is building around that date to separate from the rest of the United States. I don’t know how it’s going come out, but the Hawaiian’s sovereignty movement does have an interesting legal case because, after all, the monarchy was deposed, and at the time the United States may perhaps have been a bit imperialistic in taking over Hawaii. BD: Is there still a direct line from King Kamehameha? JT: Absolutely, yes. If Hawaii were declared a monarchy tomorrow, we would have a king, a queen, a prince, and several princesses. There’s a direct line. BD: If that happened tomorrow, would most of the islanders be happy about it, and then would some ethnic Americans come back to the mainland? JT: It would be a huge social upheaval. It would be major. BD: How have the politics of the state, in general or in specific, affected you and your music? JT: More or less, I feel that I’m not particularly affected by politics. I’m usually so concerned with the struggle to survive as a freelance composer in Hawaii, and also to just simply bring into existence the works that I want to do before I shuffle off this mortal coil, as they say. BD: So if there was an upheaval, you don’t know if you would retain your American citizenship, or apply for Hawaiian citizenship? JT: It would be interesting. Personally, I would be very tempted to take out Hawaiian citizenship... that is if they would have me. I’m not sure the powers that be under those circumstances would want me around. BD: All those years of residence go for nothing??? JT: It just depends on which one of the various sovereignty factions would get the control. There would be some that certainly wouldn’t want any Caucasians anywhere around, but I think they are somewhat in numerical minority. BD: Hawaii is made up of several islands. Is there a unification amongst the islands, or is there a division almost like little city-states among them? JT: That’s a very interesting question. There are eight major islands, and they’re all the most southern islands in a long archipelago that extends almost 2,500 miles from south-east to north-west, across the center of the Pacific. Altogether, there are something like 600 islands in the Hawaiian archipelago. BD: Are all the islands are inhabited? JT: Only the eight south-eastern-most islands are inhabited. The center of the eight is the island of Oahu, where Honolulu is situated, and that has the biggest population. It’s about 900,000 people. There’s another 300,000 to 350,000 spread out over the remaining seven islands. So we have one very crowded small island, and seven other rather sparsely populated islands. BD: Do the people from the seven others regularly come to Oahu? JT: People go back and forth fairly freely. Of course, the big center of the area that draws the most people from the other islands is Honolulu. It’s the cultural center. It’s also the business center, banking center, and political center. BD: Is that where you reside? JT: No, I reside on the island of Hawaii, which is the southernmost island. It’s also known as the Big Island, and it’s more than double the size of all the other islands put together. BD: But only has a small percentage of the population? JT: That’s correct. We have just a little over 100,000 people there now. BD: Is that because of the topography, or just where they happen to live? in with heavy, stinky vog [volcanic smog]. It can be really impressive. all are watching closely to see if we need to go into Emergency mode. But, otherwise, life is quite uneventful." BD: Observing it would be great for the scientific community. JT: Oh, absolutely, and we have quite a sizable scientific community. It’s the regular seat of major scientific breakthroughs in the study of volcanology. BD: Being on that island instead of in the community of Honolulu, do you find yourself even more isolated? JT: To a certain extent I do. I need to say that I purposely chose the area in the late ’60s. I was removing myself from the general musical environment because I considered things were frankly quite hostile to the direction I wanted to go. For artists, you can do one of two things. One can build one’s career, in which case you need to go to the capital. For that, you need to go to the center, and you need to get very involved, and aggressive and do all of those things that are going to advance your career. But I found that path really incompatible with my growth as an artist, so I chose the other path. I felt that I really needed to retire to a rather peaceful environment, contemplate very carefully the big issues of life, and find my direction as an artist, and very carefully nurture it. BD: Have you found that direction? JT: I feel very much I have, yes. But meanwhile, the world out there has changed a lot, and starting back in 1989, I have been getting more and more encouragement from the large world out there, especially the last few years, so I feel it’s now time for me to come out of my retirement in the country, and bring my art out for the rest of the world to see and hear. I know it sounds terribly arrogant [laughs], and I don’t mean it in an arrogant sense. It’s just that times are more congenial now for my aesthetic and artistic viewpoint. BD: Is this partly because we’re coming around to more listenable music, more accessible music? JT: Yes, more accessible music. The digital recording and the CD have had a tremendous impact on that because orchestral music on CD is just so fantastic. It’s just such a great sound. BD: Is it ever better on the plastic than it is on the concert hall? JT: Never! But getting to the concert hall for that experience is becoming increasingly more difficult. BD: Especially when you have to travel from one island to another? JT: That’s right, so one doesn’t spontaneously go to the concert hall. BD: You are isolated on the island of Hawaii, but you always have the radio which you could theoretically pick up from anywhere in the world. [Again, this conversation was in 1993, before the internet was ubiquitous.] Theoretically, and you had the records coming in, so you weren’t out of touch as you would have been, say, a hundred years previous. JT: That’s right, and of course I belong to absolutely every organization that exists in the English-speaking world that has to do with classical music, or opera, or some facet of the Lyric Theater. And since I got my computer and synthesizer, I’m also very much into that aspect of being an electronic musician. BD: So, you cut yourself off but then didn’t sever all the ties? BD: You waited for it to come around to your point of view, and then you re-entered? BD: So, where’s music going today? JT: I alternate between being enormously positive about the direction music is going, and also being enormously fearful. Let me get rid of the negative first, and then I’ll end up with the positive. I have a lot of artist-friends in the visual arts, and I’m quite interested in the visual arts because my mother was a painter, and she got me very interested. So, I’ve seen some of the very destructive trends that have been happening in the visual arts. The visual arts are so immediate, so when the artists-in-the-schools program got started, the artists go into the elementary schools and it’s just great to get the kids really messing around with finger-painting, and crayons, doing all kinds of free drawings, and so on. Then it’s really easy for the artist that’s there to say, “How wonderful! It’s great! You’re just doing real well,” and then for the child to leave the experience thinking that art is really simple, that all you do is just get in there and mess around, and whatever you feel like and comes out, and that’s just great. That’s what it’s all about. Now that we’ve raised a whole generation with that thought, it’s really left the visual arts in a terrible state, in my opinion, and we have something coming up in music that could go very similarly to that. The computer is a very powerful tool, and couple that with increasingly less expensive electronic synthesizing and sampling equipment, it means that a very powerful tool is in the hands of increasingly more amateur musicians. While theoretically this could be very good for music, and could help create a real boon in music, like we’ve never seen before, it can also open up the musical world to a kind of mediocrity and unprofessionality that we have never seen before in music. BD: Is it going to create a gulf between the mediocre and the highly professional? JT: That would be one of the strongest tendencies, and one of the most dangerous. But you have to keep in mind that a person who has never had any music training at all can sit down at a synthesizer keyboard and doodle around, and whatever goes into the computer can come out fully notated, with parts copied off, ready to be put in front of other musicians to play. Whatever it may sound like, there is even software that will do your work for you. If you want a development section in your music, it’ll do it for you. BD: [Genuinely surprised and shocked] You don’t even have to do the work of developing it? It will develop the ideas for you??? JT: To me it’s very frightening, and I’m really worried about it. BD: [Seriously] Is there any parallel to this with the Eighteenth Century German tradition of Hausmusik? Everybody played the piano, and they used music in their house because they couldn’t always go to concerts. Even if you went to the concerts, you might not hear all the pieces you wanted to. JT: That’s something to think about, and would be a very positive aspect if it happened in that form. Anything that would bring people together around to a musical environment would help. Then, if they were singing to what the computer was playing back for them, or if people sat around at different keyboards and put things together, working together, that human interaction is one of the strongest elements in music. It always has been. Music is a very social art. I can’t see that as anything but positive. BD: [Gently protesting] And yet, the electronics are leaving the human element out. JT: That’s my real fear, that it’s going to continue even more so as our technology develops. BD: These are all the negatives. BD: What are the positives you mentioned about where music is going? 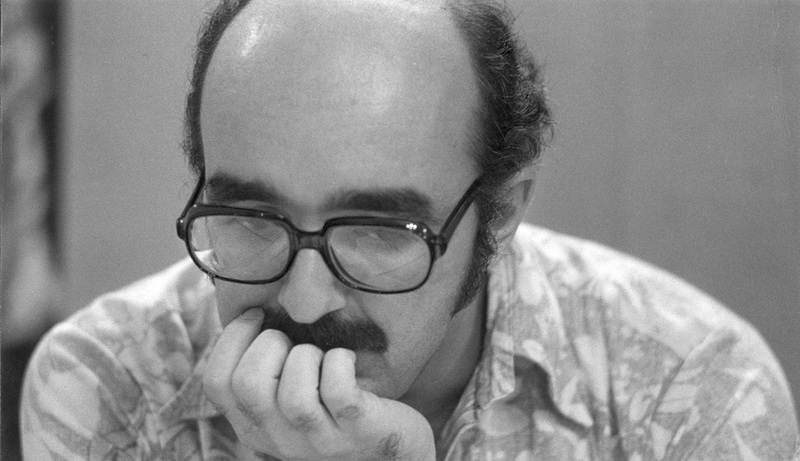 JT: First of all, I think the big, positive element is that whole twelve-tone and post-Webern movement has been pretty clearly recognized, and declared a dead end. BD: Was it bad or good that we went through it? JT: When you look at things from a very broad historical perspective, and look at things over hundreds of years, there’s always been a struggle with music. There’s been a polarity. On the one side is the highly-intellectual, highly-analytical aspect of music, and then on the other side is the highly-emotional, highly-feeling aspect. One tends to say with European music, the highly-intellectual is Germanic-based, and the highly-feeling is Italian-based. But that’s a cliché, because some of the most abstract, analytical, mathematical composers have been Italian, so you can’t say it’s exclusively one or the other. JT: Yes! [Much laughter] There’s always been this tension in music between the very intellectual and the very emotional. For my own personal taste, I love it best when you can be tremendously intellectual and convoluted, and yet still have it come out full of feeling. I think of Gustav Mahler as perhaps the best example of the wedding of the two. He was an incredible composer, and he’s had an enormous influence on many. BD: So, if you figure that the dividing line is the Alps, you don’t want to be on one side or the other. You want to be to be standing on the Matterhorn? JT: That’s right, exactly, best place to be! BD: We’re dancing around this, so let me ask it directly. What’s the purpose of music? JT: That is a very deep subject, and conjures up for me many images. I’m very interested in the writing and the philosophy of Carl Gustav Jung in relation to the psychic archetypes that he has. The way the human mind works is endlessly fascinating, and Jung says that our subconscious motivations and urges and strivings take a symbolic manifestation in these archetypal figures that we have. These figures in our dreams take on roles that can put us in some kind of direct contact with that subconscious that we can never bring out to the conscious and fully see. As Joseph Campbell was saying, there’s a veil that we never can quite see beyond, but we want constantly to pull it aside. Music, or any art, is on that level, and the great monumental works of art will take and use the elements of the art form — like the sounds of the instruments, or the instruments and voices. We have this element in the art. Then, on the other hand, we also have our abstract structuring. We have our sonata allegro forms, or aria da capo, or a fugue, or theme and variations. All these various structures that have evolved over hundreds of years are the building blocks of the art. So you put this together with sound and a great inspired artist, and it reveals for us that undefinable third element that we all feel as audience. We listen and watch The Magic Flute on stage, and it just speaks directly to us. That’s because the composer has combined these two elements with the vision and the brilliance and the knowledge of that third undefined element. He leads us there, and we see and feel that third element, which is so vitally needed for us as human beings. So yes, art and music are very, very important, and always will be to humanity. It goes across all cultures. It’s always there. BD: You’ve had a particular interest opera, especially of late. BD: Is it this kind of thing drawing you to the opera rather than to symphonic or chamber music? JT: Yes, I think so. With opera you also include the words, so there’s even more possibility of getting down there and directing the audience toward very specific kinds of thoughts and feelings that you want them to have. For me, opera is the strongest way of communicating in all of art... except, maybe, perhaps a gigantic mural! I’ve seen a few in Europe that are just so huge, like in Venice (which has several), including the Titian at the Scuola Grande di San Rocco. It is gigantic, and as you walk in, you’re completely enveloped in the painting. That’s the closest in any other art form I can think of. It’s a bit like architecture, too, where you can have a truly monumental building that when walk into it it’s so overwhelming. Opera is like that. It’s like the musical equivalent of the Cathedral of Notre Dame. It just is such an enormous, powerful, human statement. BD: When you’re working in the operatic form you’ve got to deal with the text, and yet superimpose the music on that text. Where’s the balance between the words and the music? JT: Yes, like many Wagner mezzos, she aspired to be a soprano. I had the great pleasure of seeing her singing Isolde at the San Francisco Opera, and of all the Isoldes, I had the feeling she was the most Irish of them all. She was just fabulous, and I had the good fortune to spend some time with her at one of the Central Opera Service national conferences. I asked her what it takes to learn something like the role of Isolde, and she said it’s very easy to learn. It’s one of the easier roles she’d ever had to learn, and she felt that the words and the music were so joined together that it made it enormously easy to learn. Irene Dalis (born Yvonne Patricia Dalis, October 8, 1925 – December 14, 2014) was an American mezzo-soprano, who had a long international career at the highest levels of world opera. In 1946 she received her bachelor's degree from San Jose State College (now San Jose State University), where she regarded herself not as a singer, but as a pianist. She was Brangäne when Birgit Nilsson sang her first Tristan und Isolde at the Met in 1959, Amneris when Leontyne Price debuted in Aïda there in 1961, and Princess di Bouillon for Plácido Domingo’s Met debut in Adriana Lecouvreur. In 1961, Dalis appeared as the first American to sing the role of Kundry in Parsifal at the Bayreuth Festival [seen in photo at right]. 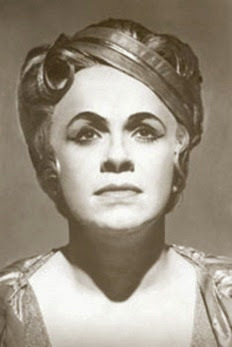 Her portrayal of this role was recorded in 1962 with Jess Thomas as Parsifal, Hans Hotter as Gurnemanz, and Hans Knappertsbusch conducting. 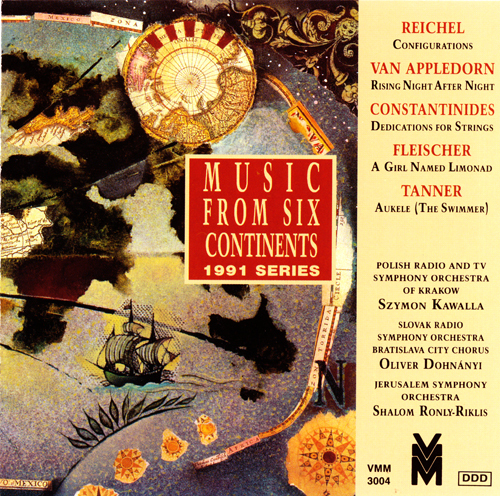 This recording won the Grand Prix du Disc in 1964. In 1963 she was awarded the Richard Wagner Medallion in Bayreuth. In 1967 she sang Isolde for the first time (in San Francisco), with Jess Thomas also singing his first Tristan. After retiring from the Met in 1976, Dalis returned to her hometown in California, where San Jose State University offered her the position of Professor of Music. There she developed the Opera Workshop program, which began turning out so many career-level graduate singers that she decided to form the Opera San Jose in 1984, a professional company which hires young singers on a multi-year contract basis, allowing them to perform principal roles in the company's four annual productions. BD: Wagner was his own librettist, and he wanted to do a Gesamtkunstwerk, a total art work. JT: That’s correct, yes, and he obviously accomplished it. 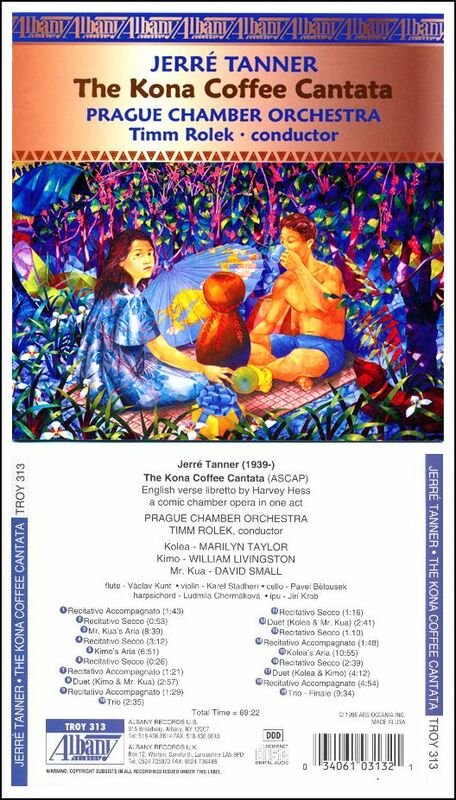 JT: Ideally, yes, but Wagner lived at a peak where he helped shape the aesthetic along his own lines so that he was not at odds with himself, with his public, or with his art. This kind of period happens not very often. He just happened to be enormously fortunate as an artist to have been living when he did. Everything meshed so that his style, his technique, and everything fit together so perfectly. We live in a rather disjointed time, and what we as artists must do now is experiment, and find our own language, and there’s an awful lot of groping around that takes place when doing that. BD: You mean we need a new Wagner to lead us out of the disjointed morass? JT: It would be great, but at this point we’re not going to find that kind of person or figure just yet. It’s going to happen maybe in the next generation of American composers, or the following generation. What’s happening in the United States now is very fascinating because it’s our first truly cultured generation which has been produced. It’s our generation, and since music is the most social of all the arts — with the possible exception of architecture — it requires a tremendous base and support from everyone in a society in order to bring it about, and to nurture it and make it grow. We’ve had a generation of struggle to set everything in place, and now we’ve got excellent opera companies, fantastic symphony orchestras, and the structure of the National Endowment to channel federal moneys into those institutions. Our tax structure, which is the envy of much of the world, allows businesses to channel part of their income into the arts, and eventually, if everyone shoulders their responsibility and takes it quite seriously, it is going to produce some fantastic art work in the next hundred years. BD: Do you feel that you’re part of this setting-up of the next hundred years? JT: I very much feel I am, very much so. For instance, in my own unique situation in Hawaii, we have an incredibly rich indigenous culture here, and the tendency of Hawaiian music has been to absorb influences from outside and make it uniquely its own. It started from an ancient court type of music. There is a series on the dance that’s currently on public television, and the program several days ago was about court dance. It was comparing Gagaku from the Japanese court with the Russian Royal Ballet, and it showed the strong similarities as well as differences there were between them. I kept expecting to see some ancient Hawaiian Hula to be shown in the middle, because it also is a dance style that’s arisen from a court setting. It is truly one of the great styles of dance in the world. It has all of the elements of the highest of Gagaku, as well as ballet. Unfortunately, it’s not that well known now, but I expect for it to be better known in the future because it is incredibly exciting. But as it developed in the Nineteenth Century, the next big influence with Hawaiian music was the Protestant Hymn Tune. It had an enormous effect. Then the popular influence of the late Nineteenth Century balladry was very important. The last King, David Kalākaua, brought in Henri Berger (1844-1929), a very fine Prussian musician and composer from Germany, to work as the Royal Court Composer. He had an enormous influence on Hawaiian music. Then, in the Twentieth Century, unfortunately certain aspects have not been that good for Hawaiian music, but it’s certainly brought it into the mainstream of popular music with lovely Hula Hands and all that sort of thing. Henri Berger was born Heinrich August Wilhelm Berger in Prussia and became a member of Germany's imperial army band. He worked under the composer and royal bandmaster of Germany, Johann Strauss, Jr. Originally, Kaiser Wilhelm I of Germany loaned Berger from his Potsdam station to King Kamehameha V to conduct the king's band. He arrived in Honolulu in June 1872, fresh from service in the Franco-Prussian War. In 1877, King Kalākaua appointed Berger to full leadership of the Royal Hawaiian Band. In 1879, he became a naturalized citizen of the Kingdom of Hawaii. Berger befriended the future Queen Liliʻuokalani, a composer in her own right. Berger arranged the songs she wrote, performed by the brass band. The queen named Berger the "Father of Hawaiian Music". 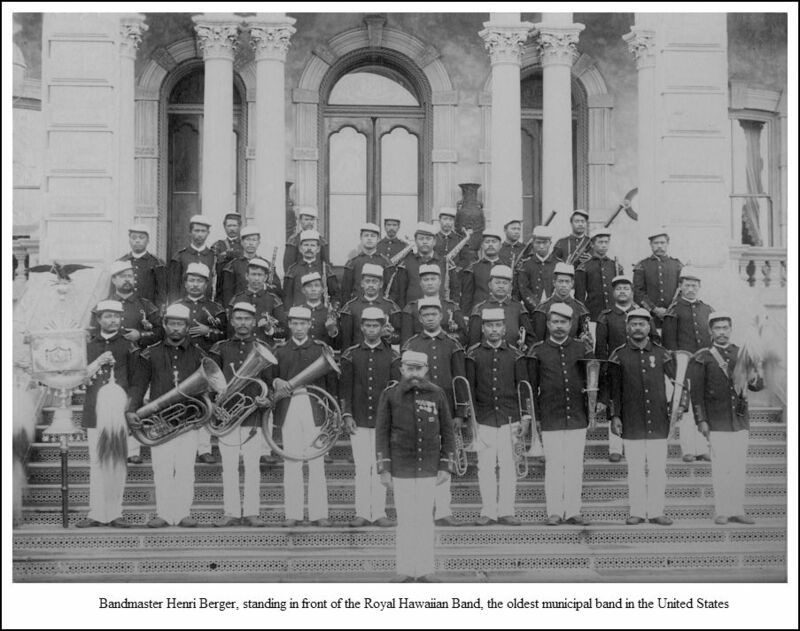 From 1893 to 1903, the bandmaster worked with the Kamehameha Schools to develop its music program. He also built what is today the Honolulu Symphony. He led the government band at thousands of public events. Among these were "steamer day," when a ship left the Honolulu docks. The band serenaded the departees with "Auld Lang Syne," or "The Girl I Left Behind Me." Later in his tenure as royal bandmaster, Berger took it upon himself to record traditional Hawaiian hymns, chants and other Hawaiian music in print to ensure their survival, a task never done before. Berger at the same time composed the classics, "The Hula March", "Hilo March", "Kohala March" and "Sweet Lei Lehua." His arrangement of "Hawaiʻi Ponoʻī", with text by Kalākaua in honor of Kamehameha became the national anthem. Today, the song serves as the state anthem. Berger combined German, Austrian and Hawaiian traditions in his unique compositions and performed with the Royal Hawaiian Band thousands of times, making Hawaiian music known and popular in many countries. BD: Is Hawaiian music losing its identity? JT: No, it has a really remarkable way that no matter what it does, there’s a flavor there that still makes it unique, and I think it’s because it’s always tied to the dance. It’s tied to Hula, which causes it to have that particular peculiar coloration. The next logical step in growth for Hawaiian music is the symphonic and the operatic, and this is what I’m working on. I started it almost thirty years ago, and there’s so much material there for subjects for opera, such as the Hawaiian-Polynesian-based myths that we have in abundance. They read like opera plots. They’ve all the big emotions like love-triangles, heroic deed, great battles, all of these things. It’s just opera plots, one after the other. BD: When you set these plots to music, will they be just peculiarly Hawaiian, or will they translate to America and even the whole world community? JT: Yes, stretching for thousands of miles! So I like to get the feeling of the land. Also, there is this long, marvelous tradition of music, so I have at my fingertips rhythms that I can use which are peculiar, or idiosyncratic, as well as turns of melody that I can utilize. I very carefully bring in as many of these elements as I can. Also, I found that using Hula in opera is just a tremendous cross-factor because with Hula you have to have words. To make it real simple, the feet are doing the rhythm. The feet and legs, the lower part of the torso, and then the upper part of the torso, with the hands and the arms and head are communicating the words through a kind of sign language, which has been very refined and is very elegant. So, you need the words there, and when you want to add the dance element to the opera, you don’t stop the singing. You keep it right on going, and it just works out fantastically. It’s very strong. BD: Many of your operas and other pieces have been performed. Have you been pleased with the performances of your works? JT: [Modestly] Well, one is never pleased. You can always take that passage a little faster, or the harp player was a little late there, or whatever. It’s always possible to get better, but generally I’ve been rather fortunate. Actually, a lot of my work has been performed by the Honolulu Symphony, and we have a very fine orchestra there. Right now, the Symphony is in a bit of a crisis, but I’m very optimistic that it’ll work itself out fine. BD: Who’s the Music Director? JT: He was in Dallas, yes. This coming season, the 1993-94 season, will be his last, and he’s retiring. JT: He was the Director when I first arrived in Hawaii. BD: I interviewed him as a composer, and I did a seventy-fifth birthday program for him. Did he do a lot for the Honolulu Symphony? JT: He was the first one to raise it to a real professional level, and he brought with him a European instance on discipline that I thought was very good for the orchestra, and it was under his direction that all of the chairs went from either part-time, or amateur musicians, to full-time musicians, so he had an enormous influence on the orchestra. BD: I understand that Dan Welcher is the composer-in-residence? JT: He was for three years (beginning in 1990). BD: Is this a position that would be good for you, or are you staying away from that kind of commitment? JT: That position would have been absolutely wonderful. The whole composer-in-residence program is outstanding, and I think it’s vitally necessary. I wished that I had been chosen for that composer-residency. Unfortunately I was not. BD: [Being hopeful] Perhaps the next cycle or two... Who is going into that position? JT: It is not a permanent position. That was a one-time thing. BD: Would it be good to have an indigenous composer, or should they bring someone from the outside? JT: You’ve struck at the heart of a really perplexing and American problem, and I’m not sure I have any kind of answer for it. I definitely feel there’s a lot to be said for developing regional art, and in that case, it might be better to develop the artists at home. But it’s also good, especially in an area that’s so isolated as Hawaii, to get out and see what’s happening elsewhere in the world, even though we have a great deal we could do in developing our own regional potential there. 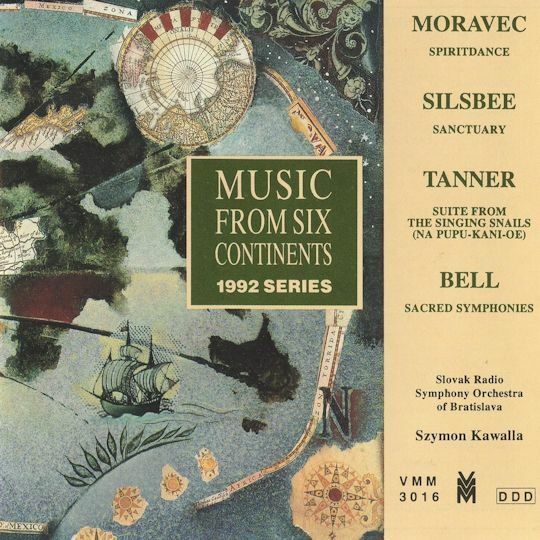 BD: Does Haleakala (by Welcher, which was recorded by the Honolulu Symphony under Johanos) work as a Hawaiian piece, or is it really a mid-western piece that he just happened to write in Honolulu? JT: I was very curious what he would do, so I followed his activities in Honolulu very carefully. From my standpoint, I have actually studied Hawaiian culture with Hawaiian cultural masters, and I’ve devoted a good decade of very heavy intense study. That particular work (of Welcher) uses a lot of Hawaiian percussion instruments. However, he uses syncopation in his rhythm that is totally outside of the realm of Hawaiian music. The rhythms used for the dance are not ever syncopated, so his rhythmic figures come out sounding rather Latin American, as opposed to being distinctly Hawaiian. Had he the opportunity to live in the culture longer, that’s a simple thing he might have clarified. BD: Let me turn the question around. If you were asked to be composer-in-residence not in Honolulu but, say, in San Francisco, or Kansas City, or Miami, would you bring a Hawaiian element to anything you wrote for those cities? JT: That would depend on what they would want. I presume they would want for me to become involved very much in the area, in which case I would be called upon as composer-in-residence to satisfy their cultural needs there, and provide pieces for their use in their area. BD: Could you divorce yourself from everything Hawaiian? JT: Yes, I think I could do it, but it would depend. For instance, if I went to some place like Houston, where there’s a very strong Latino-Chicano community, and if they would want me to work in this idiom, or develop works to reach that audience, then I would really have to start burning the Midnight oil and do the research in order to satisfy that. By the way, I feel that is very valid. We’re all Americans, we’re all part of the United States, and our real strength is our poly-cultural aspects. BD: Even more than that, are you part of a world-global musical community? JT: Oh, very much so, yes. As far as working with anything very much within the western or European tradition, there would be no difficulty for me to fit within that context. BD: When you write a piece, and it is a Hawaiian piece, do you long for it to be performed there and appreciated there? JT: Of course, one does, yes. BD: I assume most of the pieces are performed there first? JT: That’s correct, yes, and it is what I’m hoping for. I’m hoping in my life to at least point the way. Hawaii has the potential for providing a kind of Bayreuth of the mid-Pacific, where people will come to hear the very best Hawaiian symphonic music. That’s where there will be musicians who will specialize in the performance of these Hawaiian-created and/or -inspired symphonies, and where one will go to see absolutely the highest, most sublime stagings of Hawaiian opera. I’m speaking about a hundred years hence, that I envision this for American culture. People will go when this happens. People will make pilgrimages there, like they do to Bayreuth now to see Wagner at the cradle. BD: In the electronic age, might people make pilgrimages via their video cassette that they bought of your opera? JT: Yes, and that’s going to be a stronger and stronger element. For the symphony and the opera house, their biggest competition of the future is going to be the home entertainment center. There’s no doubt about it. BD: Just as Europe has had broadcasting orchestras for a while, do you think we’ll eventually get recording orchestras, and that all they do will be to make audio and video cassettes? JT: I hope that doesn’t happen because there’s a real magical thing that takes place in the live performance between the musicians and the audience, and it just can’t be duplicated no matter how sophisticated the electronics get. BD: [With a gentle nudge] Glenn Gould not withstanding? JT: Glenn Could not withstanding! [Both laugh] No, there’s always going to be that element, but the time is rapidly coming where the costs for touring an orchestra become so prohibitive. For those same costs, one could do a marvelous video of an orchestral concert, and then disseminate the video of the concert rather than actually bodily picking up the musicians and taking them places. There’s always still going to be a bit of touring because there is the competition and the prestige of performing before certain highly knowledgeable audiences. It’s just going to always be required to maintain that top cutting edge of excellence in orchestras. We’ll never completely get rid of touring, but maybe only the top orchestras will tour. BD: Do you have any advice for the purely video generation who encounter your music, or any concert, only in their homes? JT: It’s as marvelous place as any to explore, and a lot of energy can go in exploration, but that’s not the only place the energy should go. One should also watch what’s happening, what works are scheduled with the local orchestra or the local opera company, and if you have a favorite recording, or even a favorite piece on that recording, and it’s going to be performed by your local orchestra, go hear it. You’re in for a big surprise! Our standard for judging recording always should be live performance. I don’t think it should be the other way around. BD: What advice do you have for other composers coming along? JT: I feel very strongly the composer has to be responsible to the audience, and that the composer must want primarily to reach the audience in feeling in the heart. The past tradition has been that if an audience loves the music, it will survive. I, as a composer, start out aiming for my audience to love the music, or have a reason to love it, and this is really important. If we’re going to build a truly strong art, as artists we’ve got to create music that will build a base over a long period of time. We must have an appreciation and love with the audience, and with the very broad society, too. JT: It is, and enormously hard, too! But I feel I’m only really living when I’m just tremendously meshed in a work, and I’m struggling with it, and it’s resolving itself, and I’m finding I’m getting what I’ve been struggling for. To me that is the greatest feeling in the world, and there is nothing like it. JT: Thank you very much. It’s been a pleasure. Thank you for inviting me! This conversation was recorded in Chicago on May 20, 1993. Portions were broadcast on WNIB twice the following year, and again in 1999. This transcription was made in 2018, and posted on this website at that time. My thanks to British soprano Una Barry for her help in preparing this website presentation.